You can tell that Jarrod Lawson has already found his own style. The new Soul/Jazz wonder from Portland, Oregon is responsible for writing most of the music on Tahira Memory‘s brilliant debut album “Pride”. He also co-produced the album, plays all instruments except drums and guitar and sings. His duet with her during his live shows, “All The Time”, is always a showstopper and is clearly one of the highlights on her album as well. That’s not to say that Tahirah’s album is just a fast by-product. The first few bars of “Alright” with its heavy bass lines, intricate rhythm changes and intelligent lyrics (written by Tahirah as are all of the songs here) with effective background vocals could have come directly from Jarrod’s debut of last year. Tahirah’s voice is like sweet caramel with some drops of finest sea salt on top. “Nice Guy” too is right of the mid-70s Stevie Wonder book. 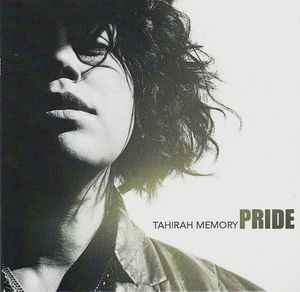 No cheap duplicate of course, but from the overall mood and sound of the song and Tahirah’s versatility in working the cute groove. She convinces on the ballads as well. “You Should Make Me Cry” is a piano-driven, repetitive love song with a great, exhilarating hook. Things get broodingly funky on “Time” which has a delicious hook and actually plays around with time towards the end. A very rich tune. The overall keyboard sound and production is simply amazing, most evident on the Minnie Riperton-style opening of “Beautiful Disaster” which also has some Ramsey Lewis and Herbie Hancock moments. There is always something new to explore with each listen which makes this album so fascinatingly entertaining. The spellbindingly soulful groove of “Again” reminds me of Earth, Wind & Fire‘s “That’s The Way Of The World” from 1975. The vocals are executed with class and serenity and the backing vocal arrangement is simply stunning. There’s more delightfulness on the quirky “Puddin'” and another gorgeous ballad (“I Can’t Change”). The album is surrounded by three short “Pride” interludes and the most intriguing moment is the sweetest pain on the aforementioned blissful duet “All The Time”.